Home / NEWS / WIFE OF OGUN STATE GOVERNOR MRS OLUFUNSO AMOSUN IS THE CHIEF HOST/MOTHER OF THE DAY OF AREWA OGUN 2015 GRAND FINALE. WIFE OF OGUN STATE GOVERNOR MRS OLUFUNSO AMOSUN IS THE CHIEF HOST/MOTHER OF THE DAY OF AREWA OGUN 2015 GRAND FINALE. Wife of the Ogun State Governor, Mrs Olufunso Amosun is the Chief Host and Mother of The Day at the Grand Finale of Arewa Ogun 2015, which will hold on Sunday 13th of December 2015, at Daktad Suits and Event Centre, Quarry road Abeokuta. The pretty mother, in 2013 edition of Arewa Ogun Beauty Pageant was very supportive and showed love during and after the event, which she will also be doing the same this year. Mrs. Olufunso Amosun is best described as a mother with sincere empathy to take care of fellow human beings especially the needy and vulnerable ones. 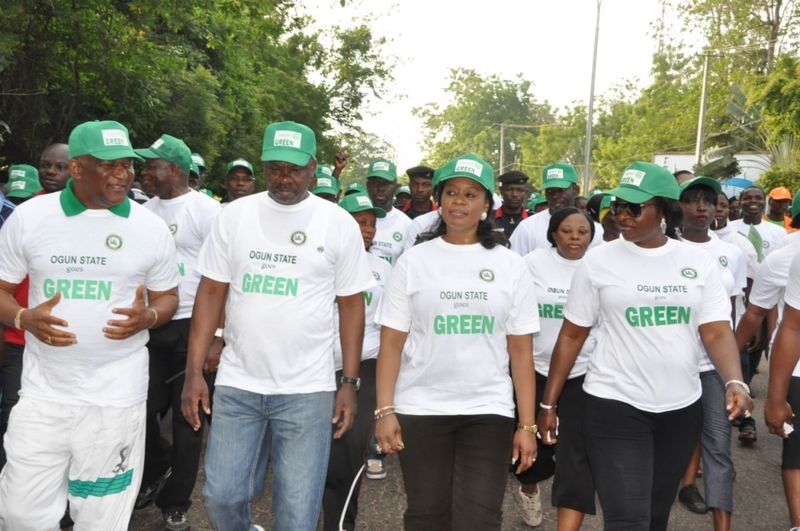 ‎Her husband, Governor Ibikunle Amosun, in the 2015 April 11 elections got re-elected to the governorship seat of Ogun state. 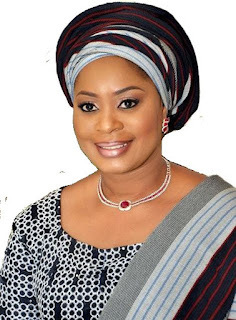 ‎ Mrs. Olufunso Amosun, Wife of the Governor of Ogun State was born on the 2nd of May, 1966 to the family of (Late) Bishop Ayoade and Elder Christiana Odesanya. She started her primary school education at St James Norland School in the United Kingdom and returned home to attend Yejide Girls Grammar School in Ibadan between 1977 and 1982. ‎ She progressed to Oyo State College of Arts and Science for her A Level education between 1983 and 1985, before gaining admission into University of Ife now known as Obafemi Awolowo University where she bagged a Bachelor of Education (BA. Ed) in English. 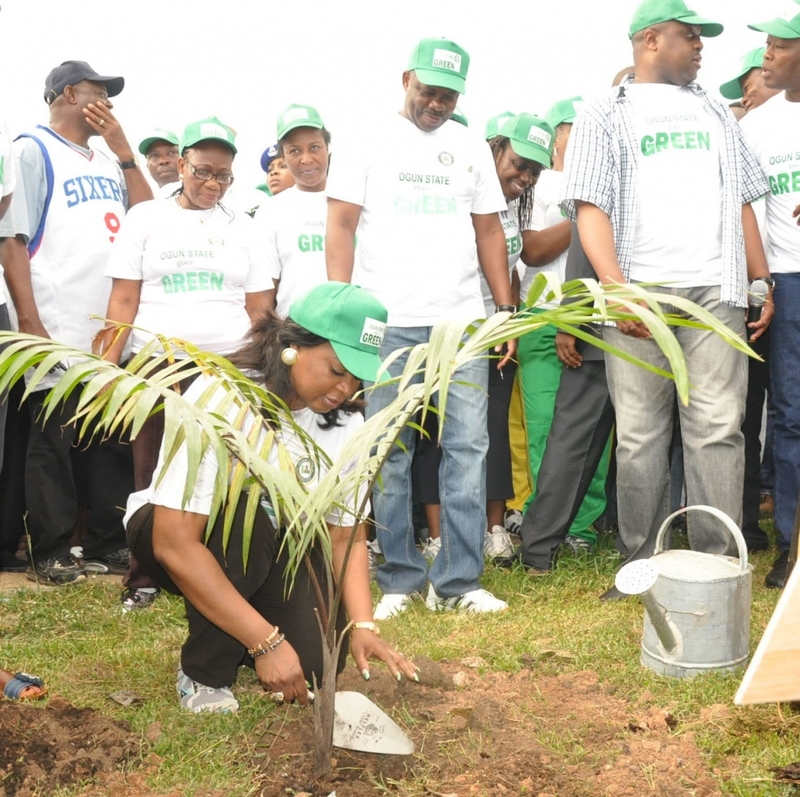 In 2004, Mrs. Amosun obtained a Master Degree in Guidance and Counselling from the University of Lagos in Nigeria. The Wife of the Governor of Ogun State worked briefly as part of a Loss Adjustment Team in Barclay's Financial Services and New Prudential Insurance Company both in the United Kingdom in the 1990s, but her main preoccupation over the years has been one of support to her husband in his various philanthropic roles in the society. She has been an unshakable pillar of support to Senator Ibikunle Amosun Foundation (SIA Foundation), which was founded in 2003, by contributing to the welfare of humanity, co-ordinating scholarship schemes and organising the implementation of empowerment schemes as well as support programmes designed to assist the less privileged in the society. UPLIFTing the Aged, Mrs. Amosun flagged-off the UPLIFTing the Aged programme at the June 12 Cultural Centre, Kuto in Abeokuta with the aim of giving a voice to the aged people who due to old age could not fend for themselves again. 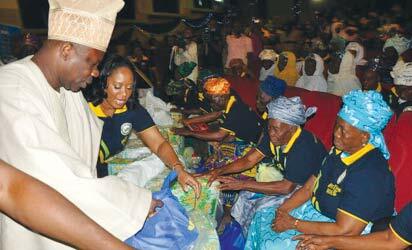 The programme was attended by over 1,000 needy senior citizens from the 20 Local Government areas of Ogun State. They were given free medical screening and went home with bags of essential commodities and a small cash gift with smiles on their faces. 100 of these needy aged citizens were identified and put on a monthly plan to receive essential commodities and a stipend of N5,000 naira on a monthly basis delivered to them to assist them in their daily lives. The second edition of the UPLIFTing the Aged took place in January, 2013 with another 1,500 aged people in attendance. It was a great opportunity for the wife of the governor to interact with them and understand their needs. 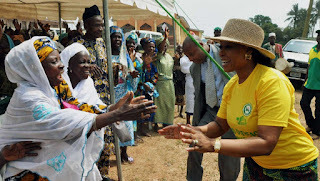 Mrs. Amosun used the event to announce the increase in the number of the aged people in her monthly plan from 100 to 500. Free Eye Camp, Mrs. Amosun flagged-off the Free Eye Camp in collaboration with TulsiChanrai Foundation and Enpee Group for more than 4,000 people from the 20 Local Government areas of OgunState with impaired sights at the General Hospital, Ijebu-Ode, Ogun State. Over 500 people across the state received free eye care, ranging from surgery or glasses to medication. This is an ongoing programme. UPLIFTing Women - To mark the 2012 International Women's Day, Mrs. Amosun on the 8th of March, 2012 at the MKO Abiola International Stadium, Kuto in Abeokuta empowered about 1,500 women by giving them access to interest-free marketable items like Grinding Machines, Deep Freezers, Sewing Machines, Generating Sets, Bags of Rice etc at distributorship rates, while some others were given distributorship rights with some multinationals like PZ Nigeria Plcetc facilitated by the wife of the governor. UPLIFTing Widows - Mrs. Amosun gave business start-up kits free of charge to 200 widows from the 20 Local Government areas of Ogun State to enable them to start earning a living immediately. As part of the measure to reach out to the needy and promote skill acquisition, Mrs. Amosun organised a three-day UPLIFTing Widows Soap and Cream Training Workshop for another 200 widows from the 20 Local Governments areas of the State. The workshop, which took place at South-West Resource Centre, Oke-Mosan, Abeokuta, was aimed at uplifting the lives of people and reducing poverty among the people, especially widows who do not have anybody to help them. The widows were taught how to make liquid and bar soaps, body cream and disinfectant, and they were empowered with monetary value by Mrs. Amosun to enable them start up their own business immediately. ‎ More than 250 less privileged people in Ogun Waterside Local Government area of Ogun State including police officers’ wives, market men and women, community leaders, hunters, artisans, religious bodies, farmers, widows and others have benefited from the third phase of the State Community Empowerment programme 2014. ‎ More than 3,000 needy aged and pregnant women have benefited from the UPLIFTing the Needy Food Outreach programme organised by the wife of the Governor of Ogun State, Olufunso Amosun, at Ibara-Orile in Abeokuta North Local Government Area of the state. 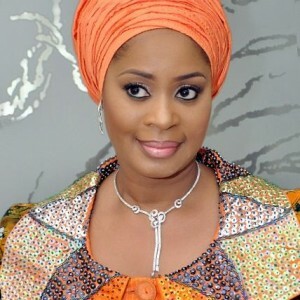 The First Lady of the Year 2012 by National Leadership Award on 31st of May, 2012 in Abuja. 2012 Achiever in Public Service Award by AfricanAGE International Magazine on 28th of July, 2012 in Abuja. Fellow of the Institute of Administrators and Researchers of Nigeria by the Institute on 29th of June, 2012 in Lagos. Golden Jubilee Distinguished Alumni Award by University of Lagos Alumni Association on 27th of July, 2012 in Lagos. Most Compassionate First Lady of the Year Award by Topleaders International Magazine 24th of November, 2012 in Accra, Ghana. 2012 Episcopal Merit Award by the Diocese of Osun, Osun State on 29th of April, 2012. Award of Excellence by Nigeria Union of Journalists (Information Chapel) on 23rd of March, 2012 in Abeokuta, Ogun State. The Best Socially Responsible First Lady. The 2013 Distinguished Women Advancement Forum Leadership Award on Millennium Development Goals (MDGs) (South Africa). The Best First Lady in the South-West, City People Award for Excellence. Most Classy First Lady 2012 by Effizzie Style.